Breaking Bad is a great show for many reasons, but for me, one major lesson the show has taught me is how to properly handle unpredictability on television. There are two optimal ways to keep a TV show unpredictable. The first, easier way, is what I call anonymity unpredictably. Anonymity unpredictability basically involves having a decent sized cast where in everyone is for all intents and purposes completely equal and in a similar position so that anything could happen to any of them at any time. Examples of this executed correctly are in horror movies when a group of people are being chased by some supernatural enemy, or action or military movies involving squads or teams. The actors have to be of a roughly equal level of fame; having one or two be more famous will entirely change expectations. Siberia, currently, for now, airing on NBC, as a fake reality show, is an example of, so far, anyway, well-executed anonymity unpredictability – there’s an equal cast of actors and actresses who aren’t famous, and there’s no reason to have any preconceptions about how will or should survive or make it until the end. This is hard to sustain over a scripted television series. Actual reality television thrives by way of anonymity unpredictability, though of course, that’s easier when the results are actually not predetermined, and it’s largely this reality show dynamic that anonymity unpredictability in scripted form at its best tries to mimic. The more difficult second type is what Breaking Bad has mastered, as is what I’ll call predictable unpredictability. The genius of Breaking Bad is in its realization that the best kind of unpredictability comes not from having no idea what could possibly happen, but from having so many plausible theories of what could happen as to make predicting virtually impossible. Too many shows result in too predictable unpredictability, which is generally a choice between two outcomes. 24 was often guilty of this. Either he dies or doesn’t. Either the guy and the girl get together, or they don’t. When push comes to shove, there’s one key binary choice the viewer is anticipating, and you know the result is either A or B. The show tries to build suspense, build suspense, build suspense, until it’s up against the wall and one of only two things can happen, most often, a character dying or not, or two characters getting together or not. If it’s not A or B, in one of these situations, it then often what I call unpredictable unpredictability – a twist that comes out of absolutely nowhere and leaves you unsatisfied because the result couldn’t have possibility been anticipated. Generally it’s not even just a slight difference from something you could have put together, but rather something you could never have possibly guessed at (Lost did this a lot). Sometimes these shows try to trick you into making you think you could have seen it coming but didn’t, and sometimes there’s subtle foreshadowing but it still doesn’t make the twist feel on point. Breaking Bad eschews both of these approaches. Instead, it takes the path that a show like Lost would have liked to take, but wasn’t successful at. It treads carefully, builds its characters, and lays out lots of different potential options, many of which can be used later on in the show as potential plot points, but wouldn’t feel like they were missing if they weren’t. Breaking Bad made its own large structural mistake by locking itself into the plane crash in season 2, but in the subsequent seasons the events have unfolded in ways that consistently seem both unpredictable but plausible. At many points in seasons three and four, it didn’t seem clear or obvious which way the show was heading, but rather than seeming like there were only one or two ways out of the corner the story was in, it seemed like there were a world of possibilities. Even more impressively, in the little moments when there were seemingly binary choices (because it’s nearly impossible to avoid them completely), creator Vince Gilligan used the character motivations and elements of the world he had put together to resolve the situations without them feeling cheap or like cop outs. This is a very difficult line to walk, and Breaking Bad has achieved it better than anyone (Homeland’s first season did a great job, it’s second not as much). Two great examples of this when Walt and Jesse are trapped in the trailer and Walt decides to have Saul’s assistant call Hank pretending to be the hospital, and the second four finale, when Walt finally kills Gus. Both of these involves situations, where you probably know what’s going to happen in as much as Walt is not going to get caught that easily at that point in the show, and Walt is not going to die at the end of the fourth season when the show is coming back for a fifth. Still, these situations work because first, Breaking Bad is surprisingly enough, that there’s always at least a small possibility that the unlikely would happen (I call this the original Law & Order principle – Jack McCoy loses a couple cases each season, just enough to keep the suspense alive for the 90% of cases he’ll win), and because even though the expected happened, they happened in interesting enough ways that both made sense and were non obvious. The plausibility is every bit as important as the surprise. An implausible surprise is a cheap trick. 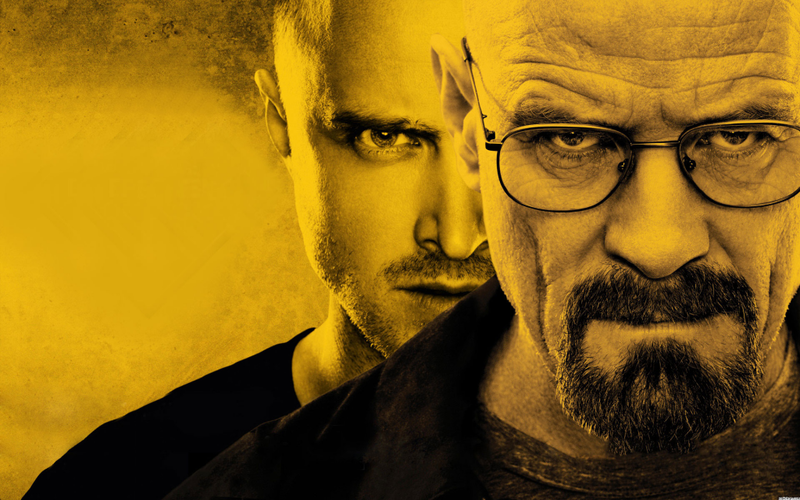 Going forward, there are plenty of elements in place for Breaking Bad to play upon, but which it doesn’t have to. Ted, for example. That’s a card in the deck. He could come back in some way and play a role, but if he didn’t, the show wouldn’t feel like it was missing something. The cartel could come back in some way and play a role, but if they didn’t that would be fine also. It’s so much more complicated than this, of course, but just think about what happens to Walt. It’s not he dies or he doesn’t. He might die of cancer, he might get shot, he might die with his family knowing, he might die without them. He might survive and go to jail, he might escape persecution, he might have to live the rest of his life on the run.. That’s just Walt’s very end game. All of these possibilities are out there, and none of them would by nature feel cheap because Breaking Bad has done such a good job laying the ground work. Breaking Bad’s spent its seasons wisely, carefully building plausible possibilities. There are a couple of musts from Breaking Bad; plot points that need to be approached or they would feel unfulfilled (you know, like why the Others made such a big deal about Walt in Lost, which felt like it had to be answered at some point…). The ricin cigarette, in particular, has been harped on too much to not come up again. The one failure of unpredictably, if you want to call it that, in Breaking Bad, is the fact that since it’s Walt’s show, Walt probably can’t die until at least the final season. That’s a limit that all single character led shows have, and it’s a cost that has to be borne to unpredictability if one ever wants to have those shows. This is the genius of Breaking Bad and it is a lesson for every TV show going forward that gets in trouble trying to surprise and keep viewers guessing; viewers should be able to guess what’s going to happen. But there should be so many potential guesses that no one knows which one is right. If the viewers couldn’t have guessed it, you’re probably doing it wrong. A couple of thngis that makes Vince Gilligan a genius –1) The opening scene where the camera is focused on the fly. Walt makes such a big deal over that fly in the worst episode of Breaking Bad and how one small detail can contaminate everything. And it was Walt who kept that book for Hank to find.2) Out of all the states Vince Gilligan can choose for Walt to run off to, he picks New Hampshire – who’s state motto is “Live Free or Die” – incredible.